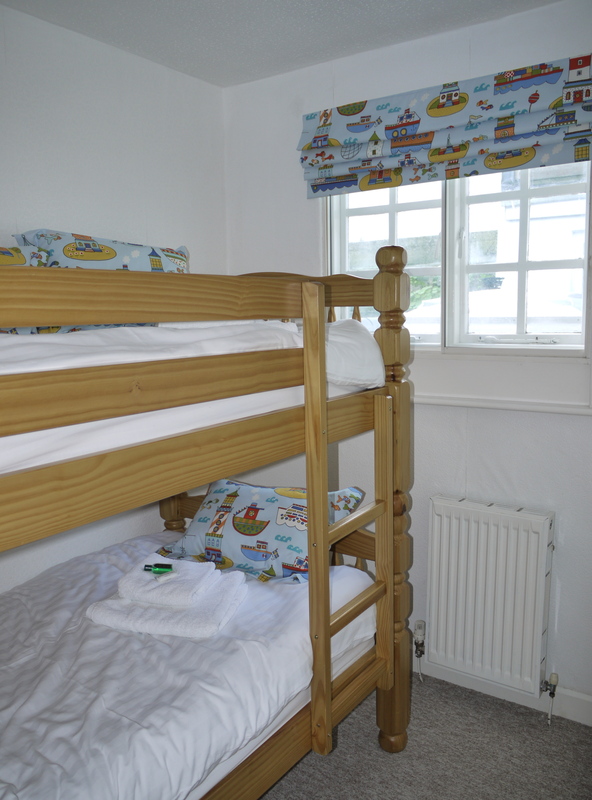 The house comprises three first floor bedrooms and can sleep up to six people. 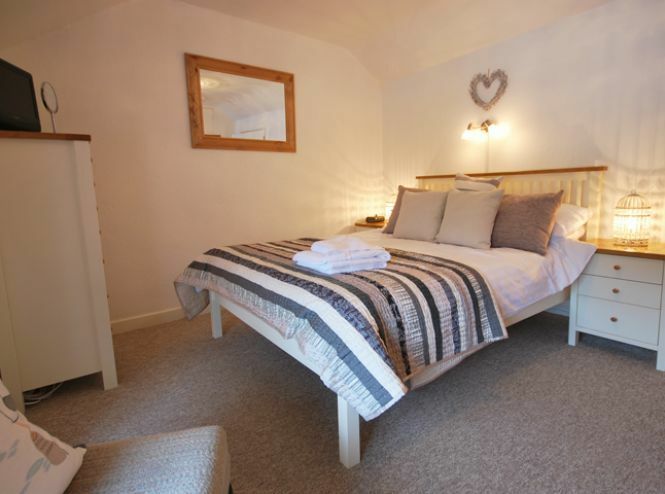 All beds are made up with high quality, stylish white satin stripe bedding. 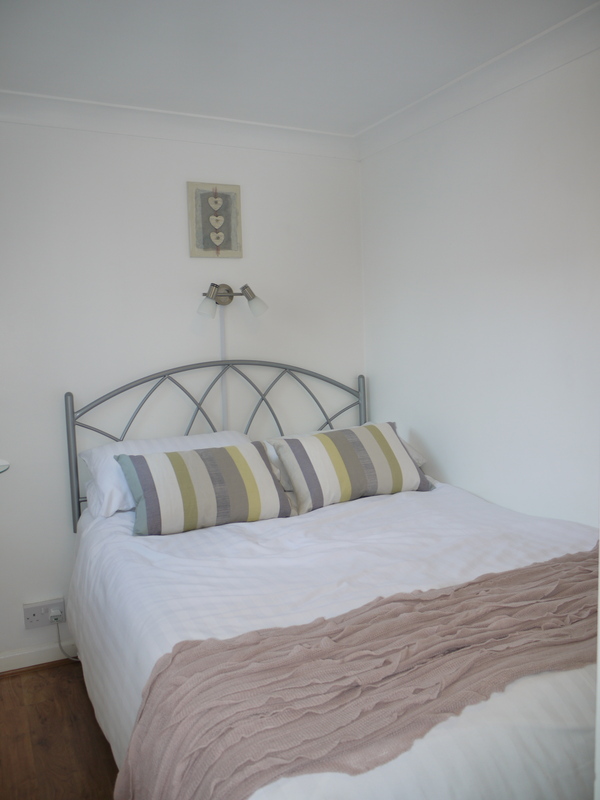 Bedroom 1 Double bedded room with digital tv/dvd player,ipod/iphone dock clock radio, large fitted wardrobe, chest of drawers and bedside cabinets. Two small comfy chairs. 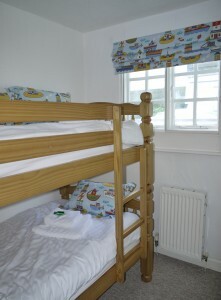 Bedroom 2 (adjacent to bedroom 1): Room with 3ft bunk beds, large fitted wardrobe and bedside cabinet. Bedroom 3 (next to bathroom): Double bedded room with large fitted wardrobe, bedside shelf. Please note this is a small room with access to the 4ft 6in double bed from one side only. It has three windows and is light, with normal ceiling height. 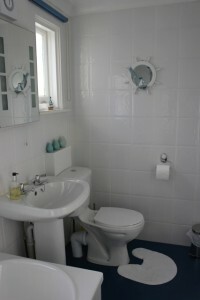 Bathroom with bath, thermostatic shower over bath, basin and w.c. White fluffy towels are provided. 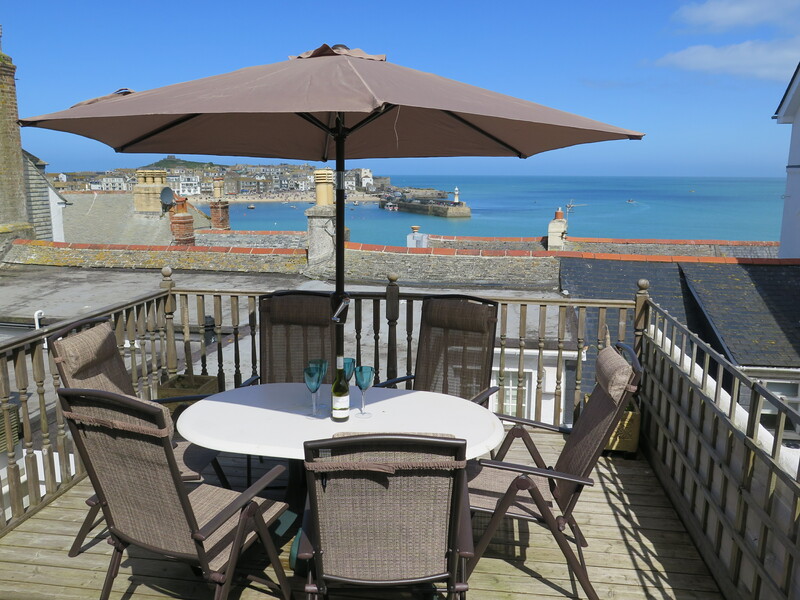 From the landing an external door leads up steps to a wonderful, sea view decking area with patio furniture. This provides a lovely outdoor space for alfresco dining and during the summer enjoys sun for most of the day (weather permitting!) giving the spectacular view (shown below) of St. Ives harbour, the sea and the fishing boats.